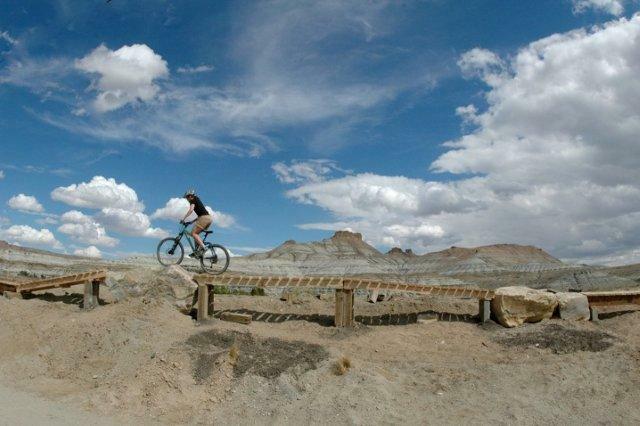 Green River, WY - Bike It! You are here: Home > Visitors > Fish It! Float It! Live It! > Bike It! Wilkins Peak Trails offers many great trails-- the majority of these are comprised of single track trails. The trails are intended for nonmotorized vehicles, such as mountain bikes, hikers and horse back riders. The trails can be accessed from several different locations depending upon length of ride/walk you desire. The closest starting point to the majority of trails system is just south-east of the City of Green River’s shooting range off of Forest Road 171. To get to the main trail head you will turn off of East Teton, just north of Jackson Elementary, on to Scott's Bottom Road, cross the river bridge. The road makes a sweeping right turn and you will see a parking area next to the City’s outdoor archery range Parking A. You can choose to park there for a longer ride or to access the beginner/novice trails, Channel Surfing and 10 Ring or continue down the road to the Main Trail Head. The road turns to dirt just past Parking A. Take the left fork at the “Red Barn” and follow the road .5 miles. You will see a parking area, Parking B, and Info Kiosk on your right. This is the starting point of “Fast Exit”. Depending upon your fitness level you may want to continue on Forest Road 171 another 2 miles to access the trails from the beginning of “Brent & Mikes Trail”. 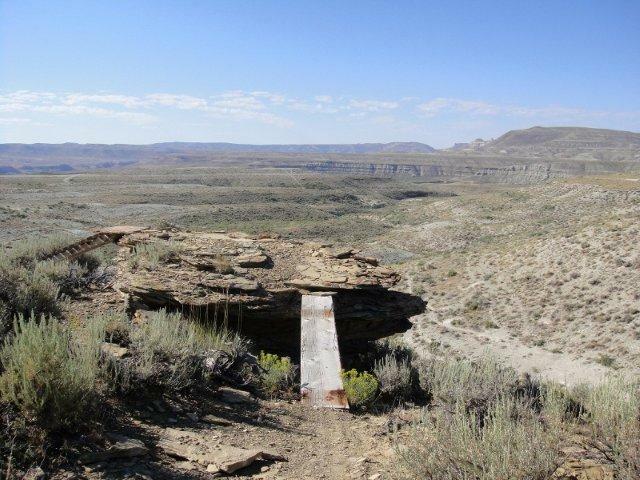 The Green River Bike Park provides another high quality recreational amenity for the town and will draw riders from around the region to ride the technical elevated trails, pump track, dirt jumps, big berms, rock drops, teeter totters and more. Directions to the Bike Park: From Hwy 80, exit 91 Green River/WY-530/E Flaming Gorge Way, Merge onto E Flaming Gorge Way, Take ramp onto Uinta Dr., Turn left on Monroe Ave, Stay straight when Monroe Ave. becomes dirt and enters Stratton-Myers Park, Drive to end of road and park. The Green River Bike Park is across the creek just south of the parking lot. The City of Green River is home to over 12 miles of a series of connector trails that include the Greenbelt Trail System; which meanders alongside the banks of the Green River. So… get out of the house, take a walk, get on your bike, breathe the fresh air and enjoy the sunshine as you stroll along the pathway. Explore the pathways twisting and turning through the corporate limits of Green River; the Iowa Bridger, Upland and CIG/Conoco pipeline trails are comprised of 1.9 paved miles traversing through the residential areas or if you prefer taking your walk in an open space you might want to venture to Expedition Island park where you can begin your walk and take in a bit of the area history and nature.